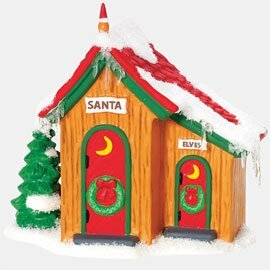 A comfort station with both Santa and the elves in mind. A cute addition to your "North Pole Village" series. Designed and manufactured exclusively for Department 56.